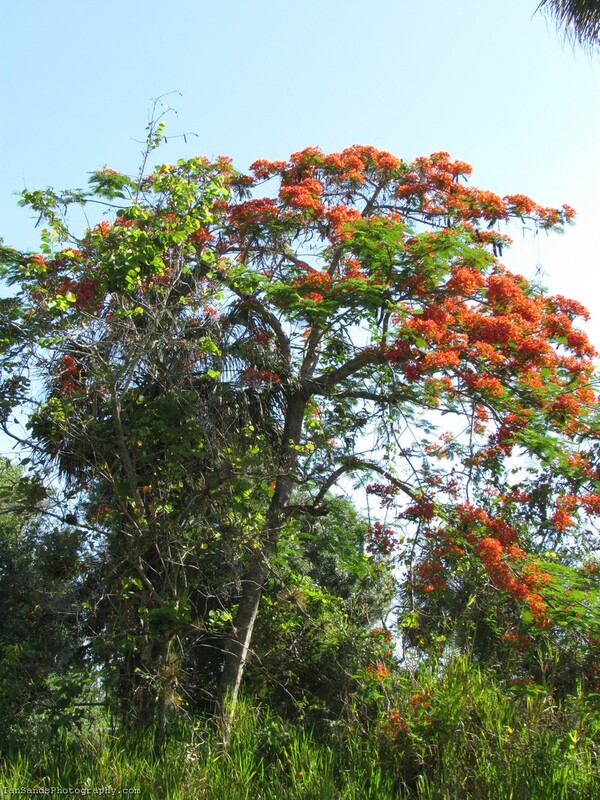 Yes I already posted a photo of a royal poinciana tree but it is such a colorful tree that I ha to post another for your enjoyment. The royal poinciana has to be one of the most vivid colorful flower trees in the world. I know there are other trees with purple and yellow and orange colors but can any really outmatch this vivid beauty?